If high impact is what you’re after, the dinner package is for you. 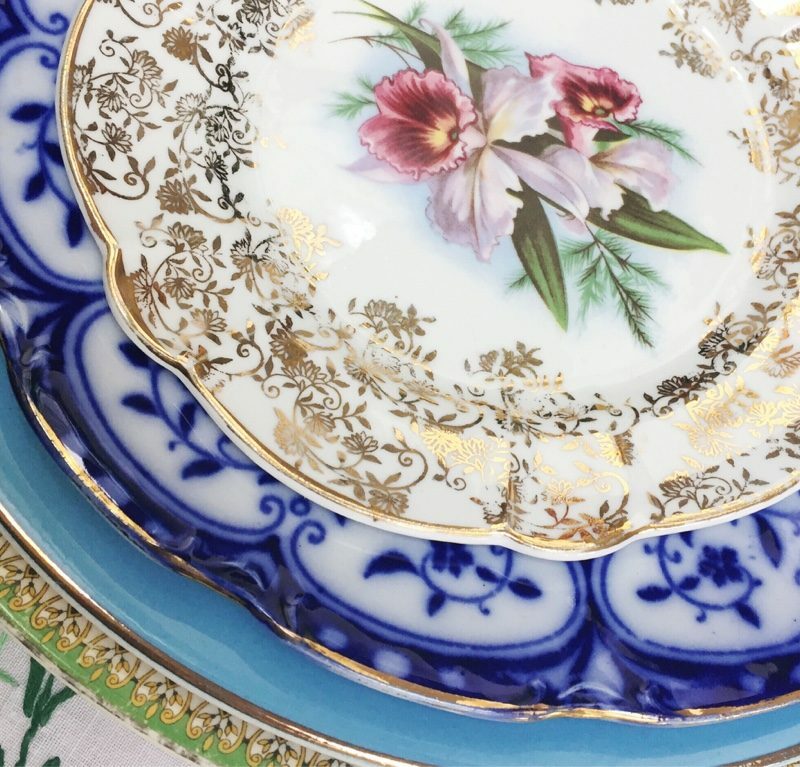 This includes all the vintage crockery and cutlery you’ll need for a three course meal. The vintage china is mismatched so it’s a real head turner when laid together on tables, creating a real talking point. It looks beautiful in photos and will certainly set your event apart from the rest. We can deliver and collect within a 10 mile radius of Bristol for £20 (£10 each way). You are welcome to collect and deliver the order yourselves by prior agreement. We will happily deliver and collect anywhere in the UK – please contact us for a quote. We usually deliver our items the day before the event and collect the day after, but please call us if you need to extend the hire period and, if we can, we’d love to help at no extra charge. A simple package with everything you’ll need to hold an authentic, vintage styled tea party. Similar to the afternoon tea package but with the addition of delicious teatime treats.